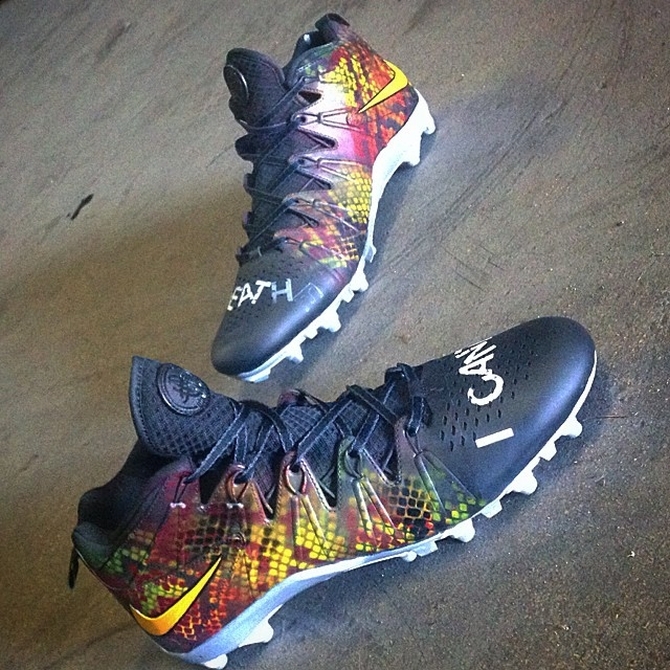 DeSean Jackson of the Washington Redskins gets a pair of custom cleats that make a statement. More and more professional athletes are showing support for Eric Garner, a Staten Island man killed by a police officer's chokehold in July, by wearing shirts sporting the "I Can't Breathe" motto that's been central in protests surrounding Garner's death. 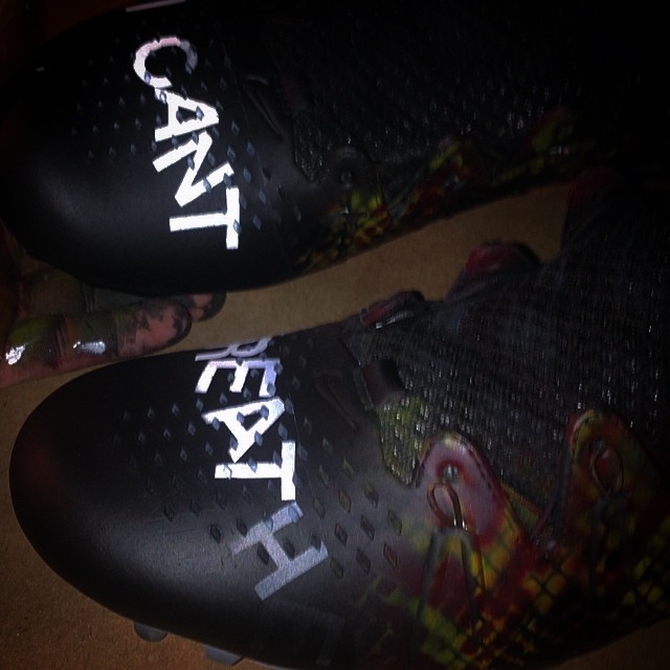 DeSean Jackson took it a step further and ordered a pair of custom sneakers sporting Garner's last words, shown here. The pair comes from custom creator Soles by Sir, who says the shoes were requested by Jackson. Fittingly, the plan is for Jackson to wear the sneakers this week during a road game against the New York Giants. The cleat custom doesn't obscure Nike's official branding, so there shouldn't be any problem with the athlete losing his contract over these custom sneakers.